Our homes are our biggest investments – their ongoing protection and maintenance are crucial for long-term value. what happens if you’ve relocated unexpectedly? or if you own an investment property from afar? who will take care of the property in your absence? In these instances, it’s important to secure a property management team capable of providing an exemplary level of service. While most property managers are capable of facilitating basic routine maintenance – as a non-resident, your needs are more evolved, your property management team should be too. 1. The Tax Man: For Non-Residents, the Canada Revenue Agency’s withholding tax requirement is 25% of the gross rent. However, there are some options available to you: have a Canadian agent such as your property manager undertake an NR6 filing and remit 25% of the net income; this is a much more palatable option then remitting 25% of the gross rent. If you still think you are a residency, a section option is to complete an NR73 questionaaire to truly determine your non-residency status. Keep in mind, the CRA is the only body who can determine your residency status, a letter from an accountant will not suffice. A little known fact: if a tenant pays their rent directly to a non-resident landlord, the tenant becomes the “Payor” and could be held liable to the CRA for 25% of the gross rents should they ever be audited. The same is true for a property manager collecting the rents and paying it out to the landlord. Lastly, any non-resident caught by the CRA without complying with the above could face a hefty fine. 2. 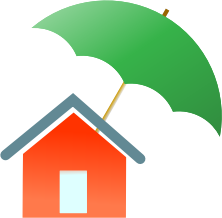 Insurance: Securing an adequate and appropriate type of coverage is necessary, as well as advising the insurance company of the status of your home. When homes are left either vacant or tenant occupied, on many occasions, homeowners continue to keep their original “Homowner-Occupied” policy in place. Unfortunately, if theere’s a claim, most insurance companies will mostly likely refuse to honour any claims since the right type of policy isn’t in place. If your property is tenanted, you must switch your home-owner policy to a rented dwelling or rental condo policy, if your property is to remain vacant, ensure you discuss the situation with your insurance broker to avoid any potential coverage issues. 4. Leasing Your Home: Finding good tenants is fundamental to your peace of mind. When screening future applicants, it’s necessary to conduct a credit check. Do not rely on copies of credit reports – they could be doctored. Also, it’s vital you confirm employment in writing but it’s also important to confirm with Human Resources or a Manager. Let’s not forget conducting a landlord reference – ask if rent was always paid on time, whether there were ever any damages to the property, and did they provide adequate notice when they were vacating? This will give you a good understanding of the type of person who may be living in your home. The above tips are only a few noteworthy items in the realm of managing your property, anything can happen at any time of the day, or night – when it comes to mitigating damage to your largest investment, response time is paramount. If you’re relocating or have an investment property, it may be prudent for you to engage the services of a professional property manager. As with all partnerships, finding a property manager is all about fit. Ask the right questions, and if you’re still unclear, ask more!